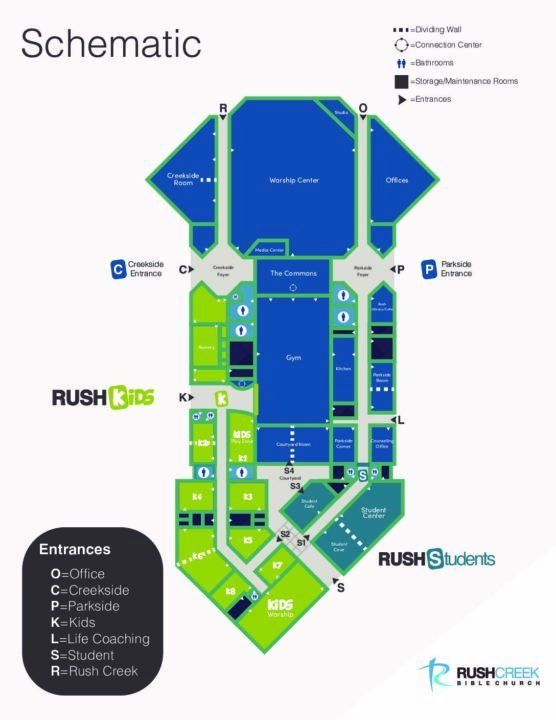 This is a map of Rush Creek Bible Church. We have volunteers available at every turn, just look for someone with a friendly smile. They’re here to help!